I love your fedora! That trench is awesome as well! Very chic outfit! ♥ I love the fedora! Truly beautiful. I admire your courage to shoot on a busy high street - something I can't bring myself to do! Love this post!! I did a similar post in the centre of Leeds a few weeks ago - definitely feeling you on the whole staring thing! VERY uncomfortable!! You look beautiful and relaxed though! You look absolutely beautiful I love the coat! Love this outfit! I always feel too short for trench coats! Really lovely outfit! 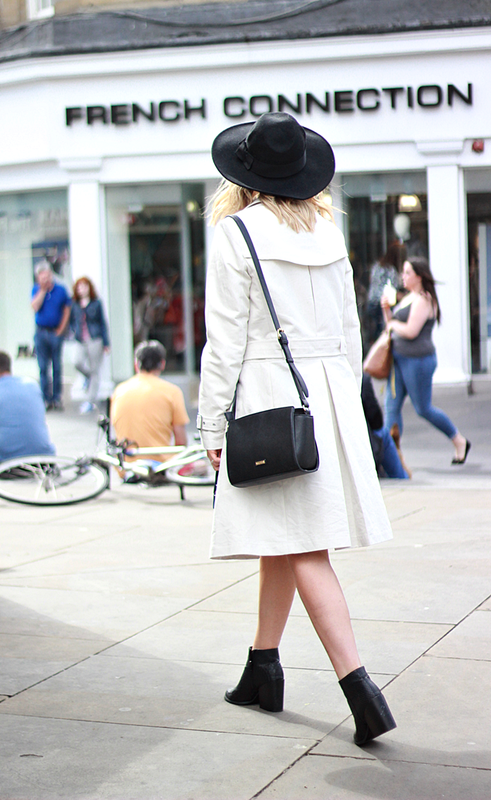 Love the way you've styled the dress with the trench. I work in FCUK and there are some really great pieces this season!